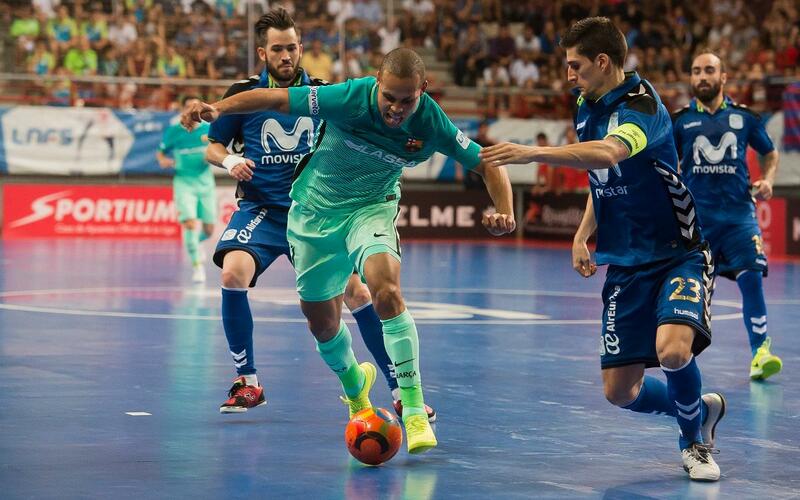 FC Barcelona have failed in their bid to win a fourth Spanish futsal championship after losing 2-1 in the fifth and decisive game of the final series against Inter Movistar. After winning the game one on penalties, then losing 6-1 in game two, the Catalans won the third and lost the fourth games by the same score of 6-1 – meaning it all came down to Monday night’s clash in Torrejón de Ardoz. It was always going to be an uphill struggle when Gadeia put the home side ahead after just six minutes, but as intense a game as any this futsal season, there was no further scoring in the first half, nor until there were just five minutes left on the clock. That was when Roger banged home from the narrowest of angles after spotting a gap between the Inter keeper and the near post. Moments earlier, Adolfo had hut the bar. Barça were right back in the mix – and very much on their own merit. But the joy lasted just two minutes. The home side bit back through Ricardinho, who has been so impressive throughout this series. and it was time for Barça to go for the rush goalie tactic. It was to no avail, and Movistar Inter could start celebrating their fourth consecutive league title. For Barça it was not to be, but they can come out of these playoffs with their heads held very high indeed.